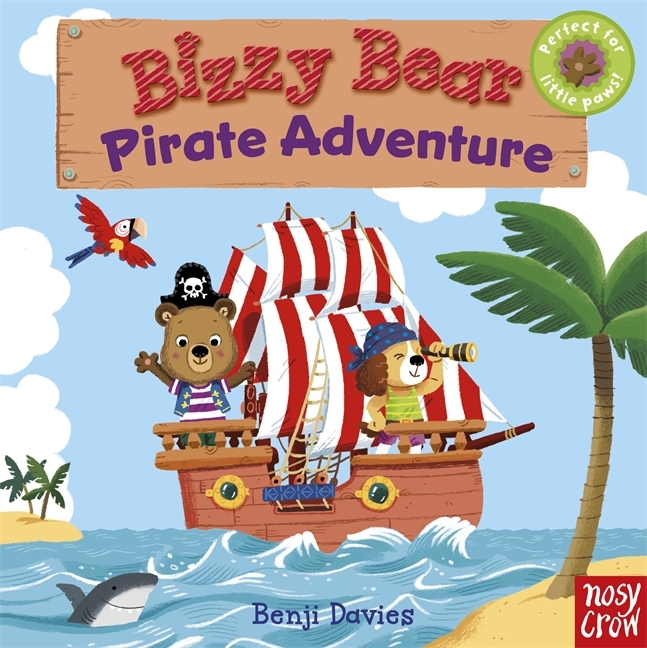 The Bizzy Bear series is perfect for totz who crave action. In this one, Bizzy Bear sails off on a pirate adventure. He digs for treasure and finds a chest. Totz can open an easily-grasped chunky cardboard loop slider to reveal the gold within! These books are super-sturdy with moving parts. One of my favorite spreads in this book is the one with Bizzy Bear at the helm. With your readertotz' help, he can move the wheel and steer the ship safely through the open seas!